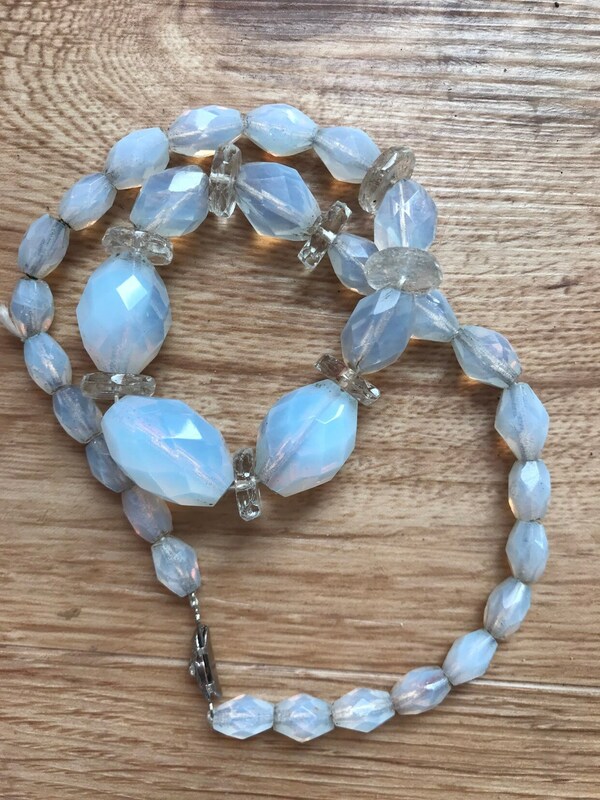 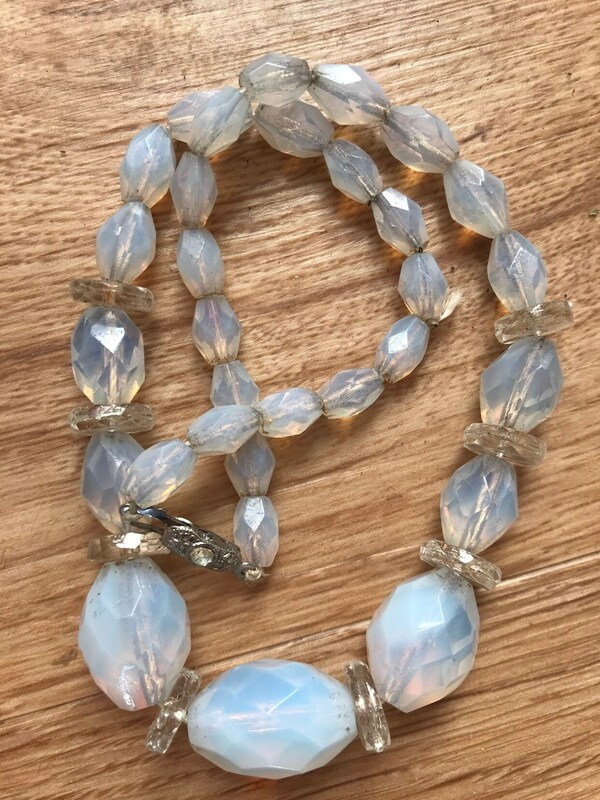 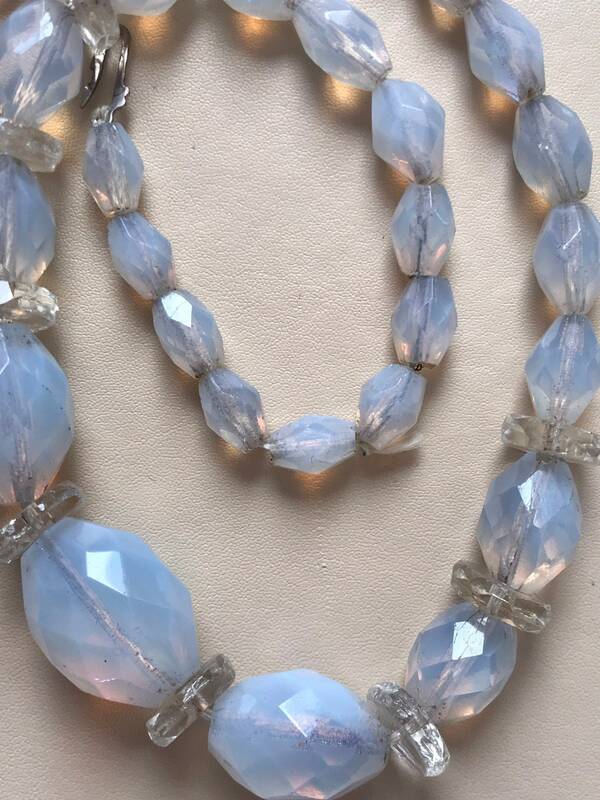 Here is a beautiful vintage Art Deco moonstone glass necklace. 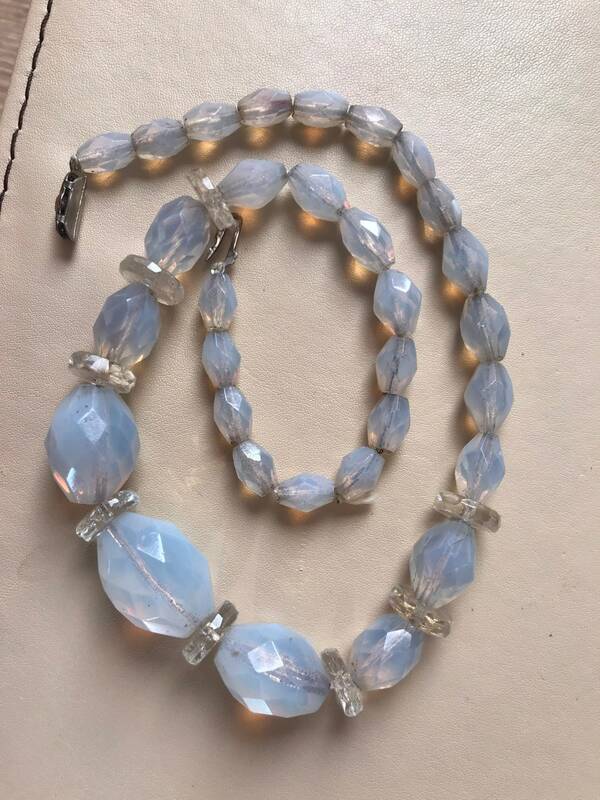 Each bead is beautifully cut and set with clear roundel spacers. 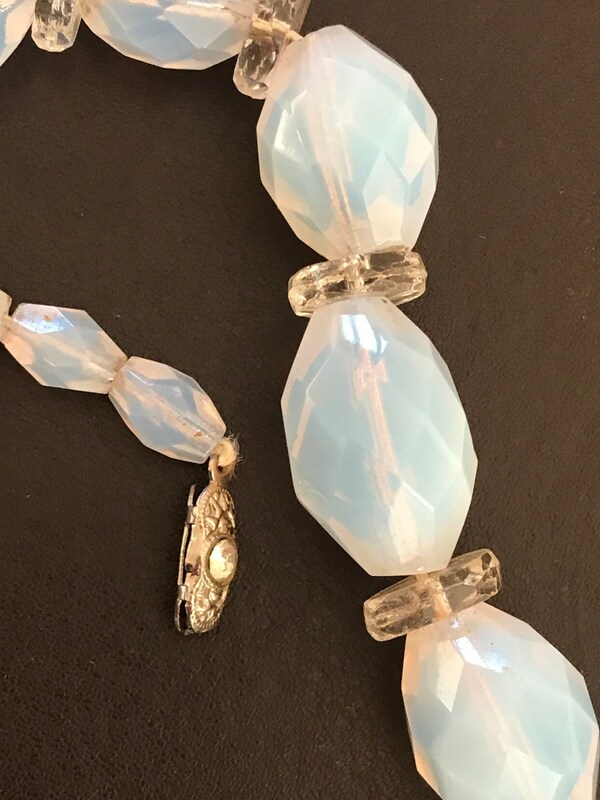 It is finished with a sliding push clasp. 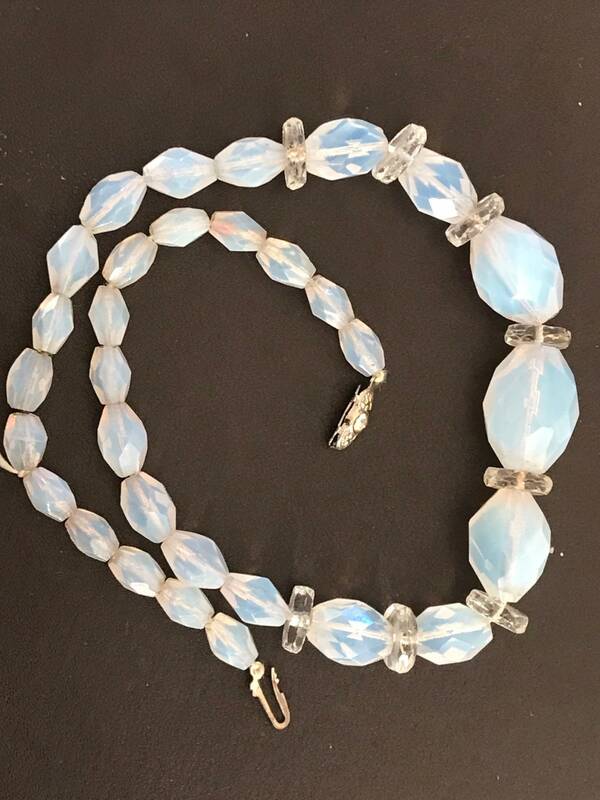 It measures approximately 16” in length and remains in excellent condition with no damage.